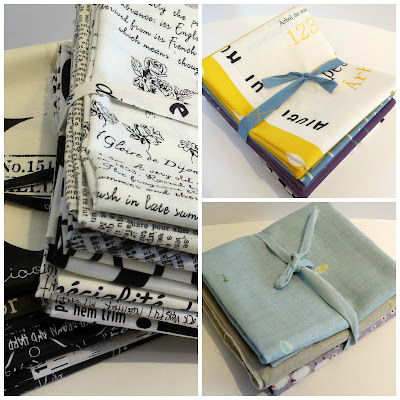 Lily's Quilts: Fabric News - BLACK FRIDAY SALES GALORE! Fabric News - BLACK FRIDAY SALES GALORE! Quiltography for iPad is offering a massive Black Friday discount. 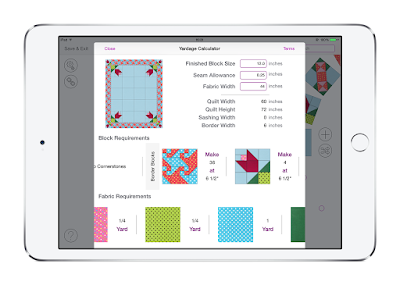 Boasting an average of 5 Stars on the US App store, Quiltography allows you to design and customise blocks, quilts and more. Now with the ability to automatically estimate yardage at the tap of a button. Download Quiltography for iPad for only $4.99 USD / £3.99 GBP was ($14.99 USD / £10.99 GBP). This offer is only available now, for a limited time and will end on 30th November 2015. 20% off your first three months of any of their monthly clubs with code CLUB20. Including their new Low Volume club and our popular Liberty of London club. Special pricing on their Janome sewing machines - some include extra packages as well. Including 48 months 0% financing for purchases over $3000. 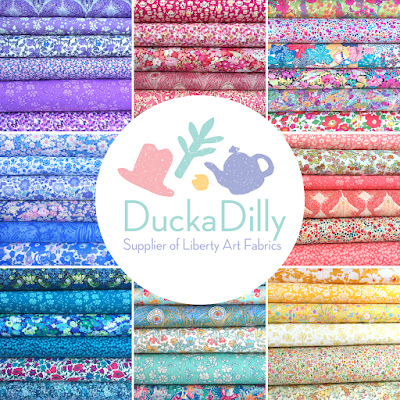 Duckadilly have 20% off storewide with coupon code "BlackFriday2015" (excludes subscriptions, sale items, and gift certificates). 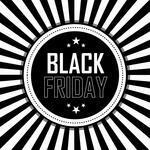 Friday, November 27th – Saturday, November 28th. Ends at midnight EST. 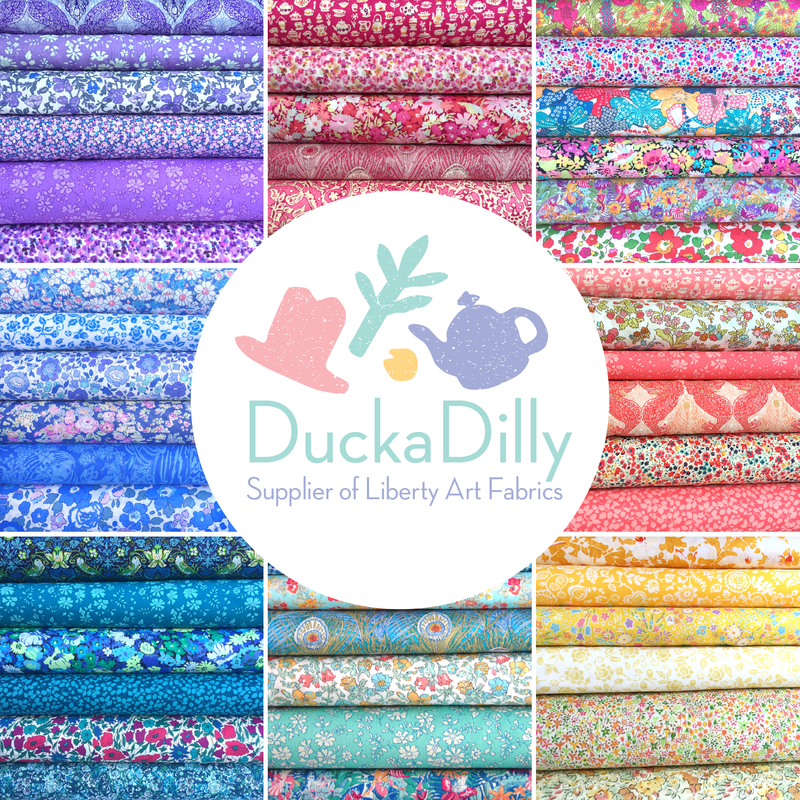 Lady Belle Fabric have up to 40% off entire store to celebrate Black Friday. Free 6 piece Sweet As Honey fat quarter bundle with orders over $50. Free shipping - US only - sale ends Cyber Monday at midnight - no code needed. Fabric Please! 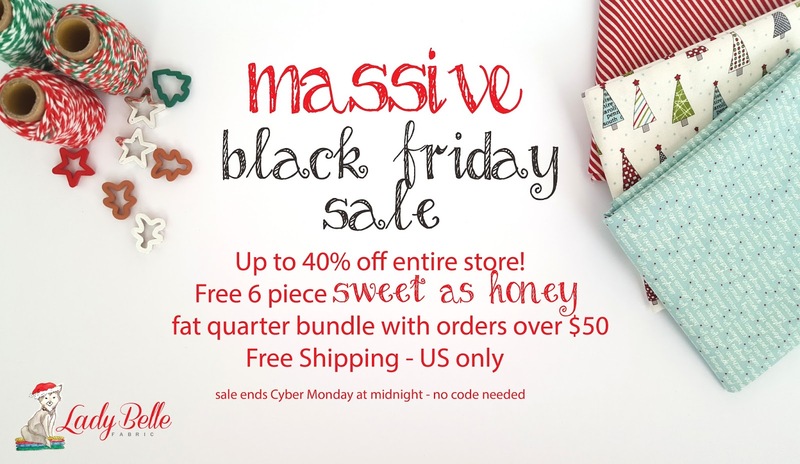 is having a huge sale Friday, November 27th through to Monday, November 30th. 35% off EVERYTHING in the store. Use coupon code: BLACK15 at the checkout. Plush Addict are having a Black Friday Bonanza with up to 80% off selected fabrics and lots of bargain bundle deals that would make perfect Christmas gifts. 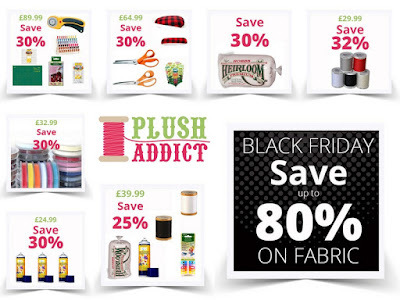 All the deals can be found by clicking here and end midnight on Monday. 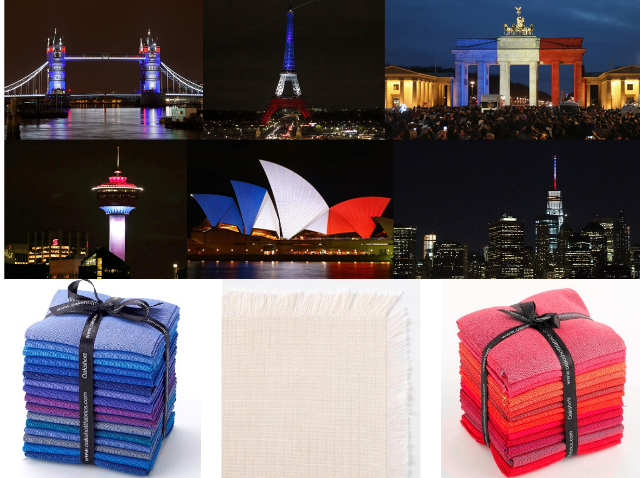 In sympathy with the current mood in Paris, Oakshott Fabrics is offering 25% OFF selected Blue, White and Red shot cottons for this weekend only. 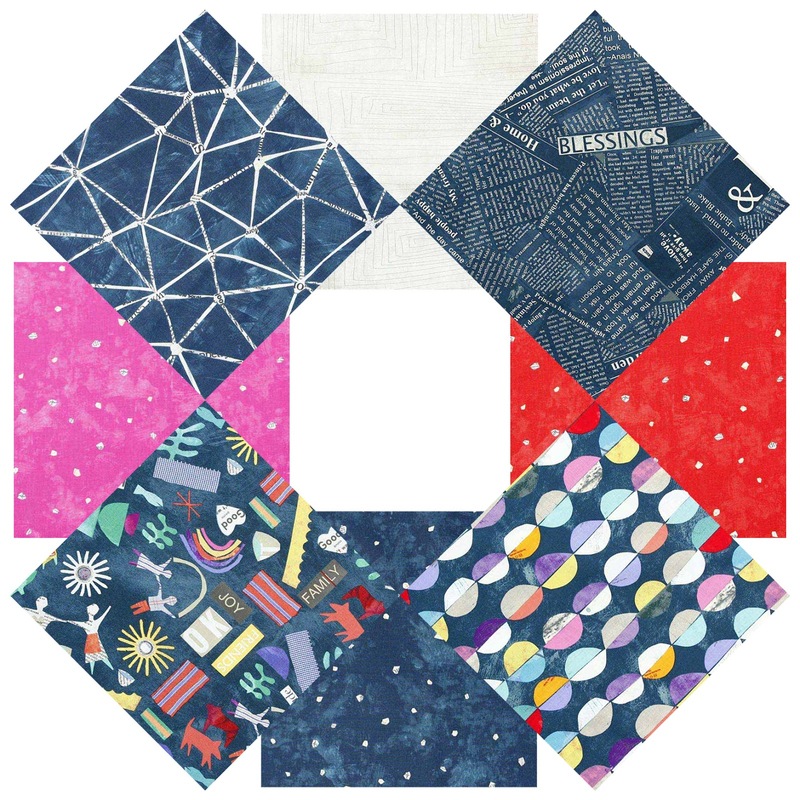 The theme of Carrie Bloomston's new Story range for Windham Fabrics is community, connection and the essentials of life. 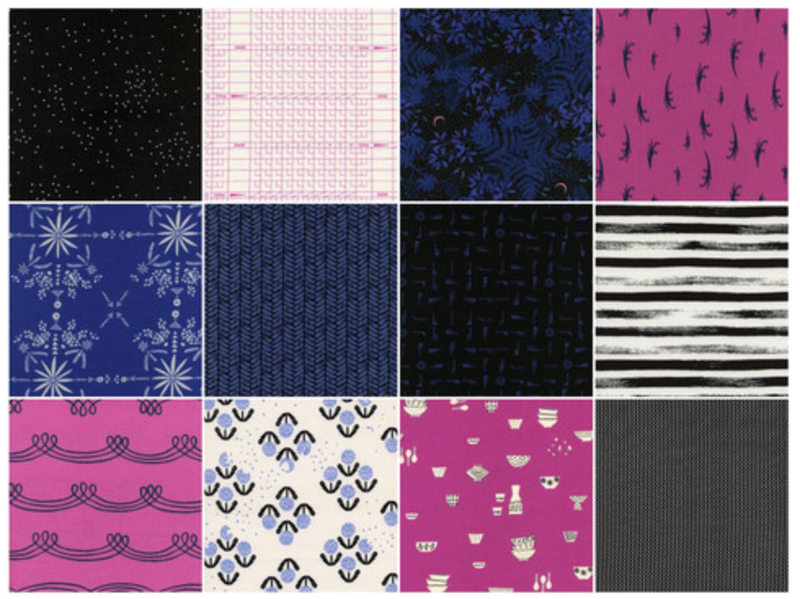 Carrie uses her familiar, freehand, cut and paste design style together with bold, vibrant colours to create a flamboyant, soft-edged, modern collection. 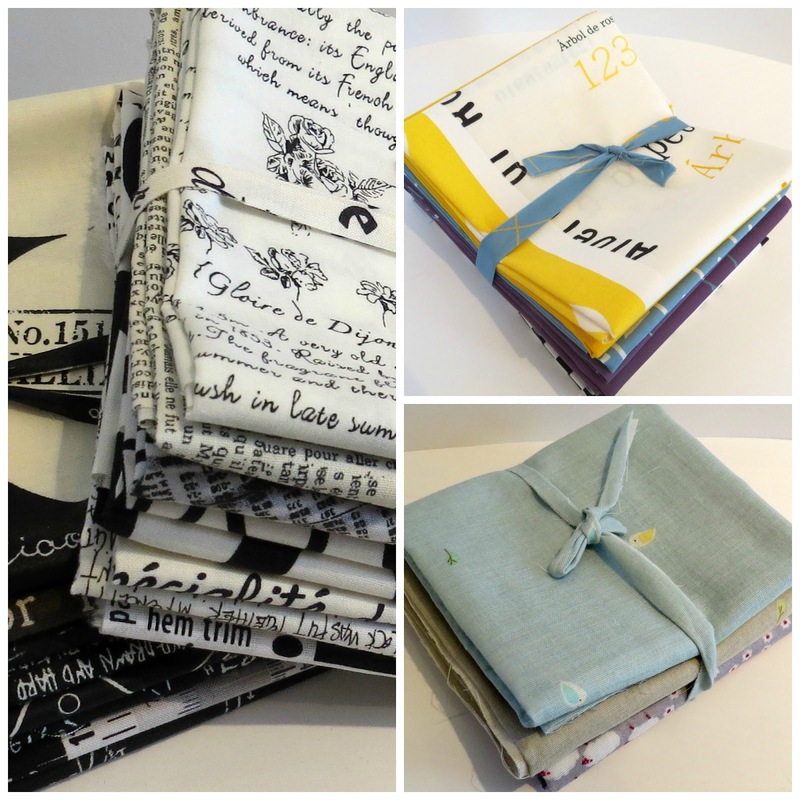 These fabrics are available from Quiltessential in Cromford, Derbyshire.